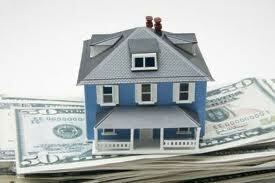 If you are looking for mortgage debt help, a mortgage modification could be one solution to help you avoid foreclosure. Although you may have heard they can be tricky to obtain, there are some things you can do to increase your chances at a successful mortgage modification. Three most recent pay stubs with YTD earning statement/ Most recent quarterly profit and loss statement, if you are self employed. Benefit summary statements, if you receive SS, retirement, VA or any other form of benefits. Last two months worth of checking, savings, retirement or other fund account statements. Any legal documents pertaining to a death, divorce or dependent. A copy of your homeowner’s insurance policy coverage. A copy of your most recent property tax bill and proof of payment. It is also a good idea to consult with a foreclosure lawyer about your mortgage debt troubles, especially if you have been denied a mortgage modification in the past, are currently at risk of foreclosure or need help in your negotiations.